There have been some odd media-related slights of 2018’s two-time major winner and Floridian Cup champ, Brooks Koepka, including at the U.S. Open, PGA Championship and Tour Championship. 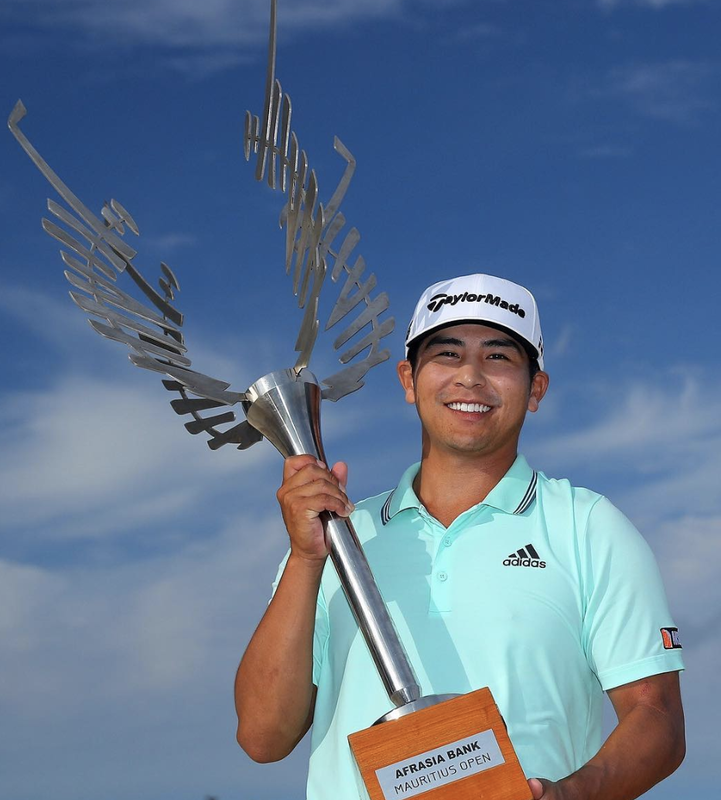 With Ariya Jutanagarn winning one major to Koepka’s two, he’s understandably annoyed at the lack of respect given to his year. Underrated in his season is how late he started due to a wrist injury. While “dominant” isn’t the first word that comes to mind, his play given the inactivity the first four months of the year suggests it could have been even better. One of the coolest—dopiest to the kids reading out there—trophies in golf arrived at Tiger’s house and he promptly posted multiple shots of the 2018 Tour Championship’s Calamity Jane trophy. Because the world revolves around FedEx and the gobs of money they are paying for the FedExCup, the Calamity Jane may be a 2019 casualty of the Tour Championship shifting to a handicap tournament resolving only the FedExCup. Sunday’s Final Round saw 18.4 million minutes streamed across NBC Sports Digital platforms (+561% year-over-year), and becomes the most-streamed NBC Sports’ Sunday round (excluding majors) on record (2013-’18). Sunday’s lead-in coverage on Golf Channel (Noon-1:30p) also earned a .74 Overnight rating to become the highest Sunday lead-in telecast of the TOUR Championship ever (2007-’18). For over a decade we were annually told that what we saw before us was not as bad as most suspected: the FedExCup was wonderful and not the most poorly constructed competition in sports. It was even exciting—Bill Haas!—and beyond the massive bonus money, was so much better than merely ending the season with a fall Tour Championship. Which was true, if you were a PGA Tour player or executive cashing a bonus check. Mercifully, the final version of the points-reset, algorithm-decided iteration ended with Justin Rose’s clinching 73 Sunday at East Lake. Rose made just 18 starts in 2018, killing the notion that season-long play starts were rewarded. Questions loom about the purity of the next format with $15 million now on the line, but Tiger Woods thankfully helped everyone forget about that issue until we get to next August. But in reading David Dusek’s Golfweek account of the 2018 conclusion, it’s pretty easy to envision a scenario where anything will be better than what we’ve long been told was so exciting and fun to follow. I explain more in this column for Golfweek on the pros and cons of the new format, one that sadly keeps clinging to attempts at rewarding season-long play in an effort to get players to tee off more often. Also, The Forecaddie chimed in on the math behind the new Wyndham Rewards program and figures most will have to play six weeks in a row to get stars to the Wyndham Championship. Good luck with that! Does Tiger Have To Win The Tour Championship To Make The Comeback "Complete"? A couple of stories on Tiger’s three-stroke lead heading into the Tour Championship final round left me uneasy. After all, should he wake up not feeling it, shoot 72 to someone else’s great round, there will be declarations that he’s never going to be the same golfer we knew. To be clear, he’s never going to be the same golfer we knew but he’s certainly been close enough of late to give us hope for a legitimate chase of the all-time majors record over the next five years. But as Dan Kilbridge notes in this review of the comeback, it’s incredible how far Woods has come and also how much his putter—not the often scrutinized ballstriking—has made the difference this year. Or prevented victory. Woods has been money with third-round leads, especially of 3 shots or more. He has never failed to deliver, 32 times going on to victory when holding this wide of a margin. Woods' overall record of 53-4 on the PGA Tour with at least a tie for the lead is mind-blowing itself. Imagine getting to this position 57 times. But Tiger has also seemingly peaked in the third rounds in 2018, opening up the possibility that he’s not as sharp today and gets passed. That would be a shame given how perfect of a final bow a win at East Lake would put on his steady 2018 comeback. But there also needs to be some perspective that he’s still coming back and has also far exceeded expectations given where his game was a few years ago. The PGA Tour faced one major dilemma in trying to improve the FedExCup: how to make sure FedEx gets full value for their sponsorship. Players make a lot off the cup race, as do executives when bonus season comes around. In theory, it makes sense as a way to bind the season together. Had the FedExCup continued next year as expected—three events down from four, with points awarded based on finishes—no one would have called that weird. Throw in a bonus fifth round at East Lake, a day after the “third” playoff stop produced a Tour Championship winner before advancing a top four or six players to a final day shootout for the big (FedExCup) prize, and no one would have called that weird. Maybe unfair to the season points leader, but playoffs aren’t fair. So to have recent FedExCup champion Justin Thomas calling the new 2019 system “weird” right out of the chute, with the social media reaction suggesting he gave the perfect summary of how most feel, comes off as pretty weird given all of the brainpower put into the latest FedExCup overhaul. Weird, however, is not fatal, and as I noted in our Golf Central chat today, the new format is a huge improvement. Granted, the bar set by the current format was low. As in, the worst playoff format in all of sports and has been over eleven years despite all of the efforts to defend it. As Joel Beall notes in this Golf World op-ed, the line between struggle and success in today’s game has grown ridiculously thin given the ascension of younger players and lofty standards set by the likes of Jordan Spieth. In considering Spieth’s failure to make the PGA Tour’s top 30 and a spot in the Tour Championship field, Beall points out the ways Spieth toed the line between success and struggles in a 2018 he’ll ultimately try to forget. And there's the rub. Spieth has fumbled away his share of titles—the '14 and '16 Masters, the '15 and 18 Opens, darn-near the '17 Open—proving he's no stone-cold assassin. They're falters that warrant criticism. Continuing to put himself in positions to win, though, also deserves a share of acclaim. Especially at his age. Arnold Palmer, after all, didn't win his first major until 28. Phil Mickelson, 33. Though arguments can be had when a golfer "peaks," there's no debate that careers, thanks to training, medical and equipment advancements, have been extended longer than ever. Also in that vein: unlike the game's of his fellow young guns, Spieth's is predicated off precision, not power. While that occasionally works against him, his attributes should age gracefully in the next two decades. The sport has cruelly proved that you can't count on anything as a guarantee for the future … but save for injury or off-the-course issues, Spieth is on pace to be one of the greats. AP’s Doug Ferguson reports that Spieth will be getting married this November and likely adding a couple of fall starts to get out of the rehearsal dinner tasting dinner, or something like that. Since the Ryder Cup will distract us from the final tallies post-Tour Championship, I thought I’d offer a refresher course for those interested in the distance debate. To recap: the triathletes of the PGA Tour head to the 2018 finish line with their foam rollers and four-hour workouts fueling distance gains. However, as any player paid by Titleist will tell you, it’s not the amazing equipment advances made by engineers and coaches cleverly using launch monitors to improve their students, but instead the purity of athletes who may get called at any time by NFL teams looking for mid-season injury replacements. In May 2002, the USGA and R&A drew a line in the sand and said any distance increases, no matter the cause, were not sustainable. The PGA Tour driving distance average in 2002 was 279.84 yards. Since then, the governing bodies have eroded their credibility by claiming their rules have capped distance and things have flatlined. The 2018 PGA Tour Driving Distance average heading to East Lake is at 296.0 yards, up over three yards from the 2017 numbers and over 16 yards from the sand-line drawing. More impressive is Rory McIlroy’s shot at history, with a current driving distance average of 320.0 yards heading to East Lake. The previous high for a season was by Dustin Johnson in 2015: 317.7 yards. Back in March I noted this year’s spike and if we use the 295 barrier as another high water mark, we see another big leap in 2018. So since 2014, we will have doubled the number of players averaging over 295 yards off the tee. Averaging. While these numbers would be relevant if anyone actually believed in the governing bodies or had faith their ability to act in a credible way, we know the ship has sailed. The USGA and R&A can’t overcome years of saying things have flatlined when the numbers (and eyeballs) say otherwise. More interesting to me, as a longtime distance student, is that eye-test element and just how many people continue to realize how distance does not make professional golf more entertaining. Look at poor, defenseless Aronimink last week or even Bellerive. No one watching felt like the courses could pose the questions and strategic dilemmas intended by their designers, even after both layouts had received updates to address the changes that aren’t happening. The question before the PGA Tour and PGA of America, supporters of distance gains to “grow the game,” is whether such a brand of golf is interesting to watch and will captivate the younger audiences they obsess over. They’ll point to 2018’s ratings as evidence, but we all know that’s largely Tiger-driven. And in case you don’t know, Tiger supports an end to the distance chase madness via bifurcation, just as Jack Nicklaus, Arnold Palmer and Bobby Jones have before him. Happy (long) driving boys! I have full faith you can keep the average over 296 yards next week. What To Make Of The Mixed PGA Tour Playoff Ratings News? Maybe the numbers do not matter with the PGA Tour Playoffs(C) moving to a late-August finish in 2019. Or perhaps a couple of golf-loving Nielsen viewers took the family to the Catskills Northern Trust Open weekend. Either way, with Tiger Woods lingering around and getting lots of coverage, the Northern Trust saw a drop in ratings while Labor Day's final Dell Technologies saw a nice boost from Woods. Final round coverage of the PGA Tour Northern Trust, the first event of the PGA Tour playoffs, earned a 1.9 rating and 2.75 million viewers on CBS Sunday — down 10% in ratings and 12% in viewership from last year (2.1, 3.14M) but up a tick and 5% respectively from 2016 (1.8, 2.63M). The news was better for Monday's final round at the TPC Boston, where a 2.1 rating was up 8% from 2017 on Tiger's back. The Monday coverage also faced little competition, again making it an attractive coverage day for some other tour to jump on now that the PGA Tour is abandoning Labor Day Monday's going forward. Paulsen also updates his Woods Effect numbers from the season with the Northern Trust being just the second tournament to not see an increase. Lead-in numbers are included for Golf Channel and those are also huge, with the 1.34 million average audience for Sunday's coverage.